Personalization not available for this design. 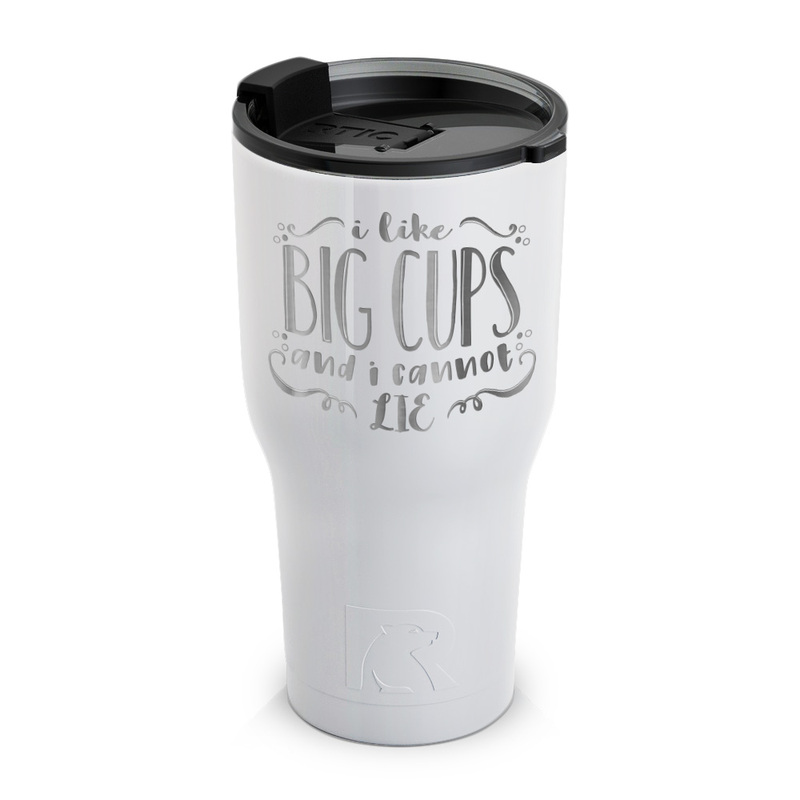 "I Like Big Cups & I Cannot Lie" etched into 30 ounce double wall stainless steel vacuum insulated tumblers that hold your drink's hot or cold temperature for hours. Hand wash only. Interested in custom etched mugs with your organization's logo? Visit WPPMugs.com to request a quote.